Here at Angus Manor, after church, we like to go on a Sunday drive. It typically consists of a swing through McDonald’s and heading out of town to do a little barking at the cows. So we all piled into the Angus Mobile, wearing our sunday bests – me and Ainsley in our standard issue Scottie skirts, and Mr. Bear wearing his shorts and no shirt – and took off. See picture below. Well – we hadn’t even made it to McDonald’s, before our local Po-Po (that would be Police for those of you who are cool-impaired) decide to pull us over. Obviously, a textbook case of PROFILING. 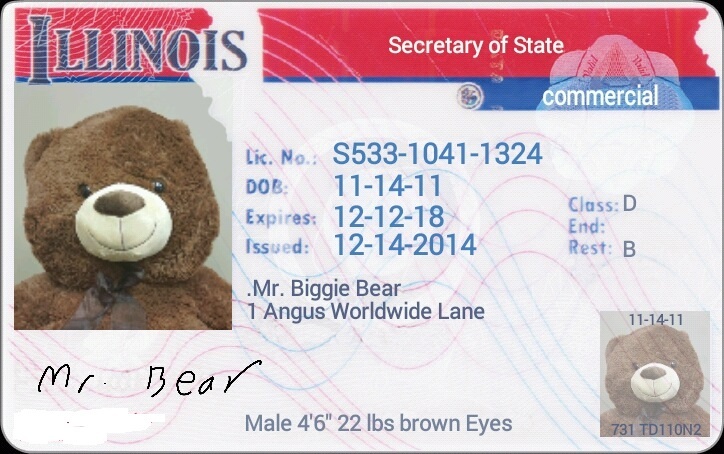 Well, Ainsley and I wanted to get out and bark at the cop that we were gonna sic Al Sharpton on him, but Mr. Bear, calmly handled things, produced his driver’s license (see below), and the police officer bid us a good day, and let us go on our way. Let that be a lesson to you kids out there – a Bear With Credentials is a wonderful thing. Next Post Got this in the mail, now all I need is a G6 and I’ll be all set to travel. Thanks for the translation of PO-PO. Clearly, I am cool impaired. I agree that this was a case of profiling, though. Al Sharpton and Eric Holder need to be contacted immediately if not sooner. Love a happy ending. Better make sure that Mr Bear gets some perks now that he seems an asset. No registration or proof of insurance-BUSTED. I guess sometimes cooperatin works better dan biting, not dat I’s ever tried it. 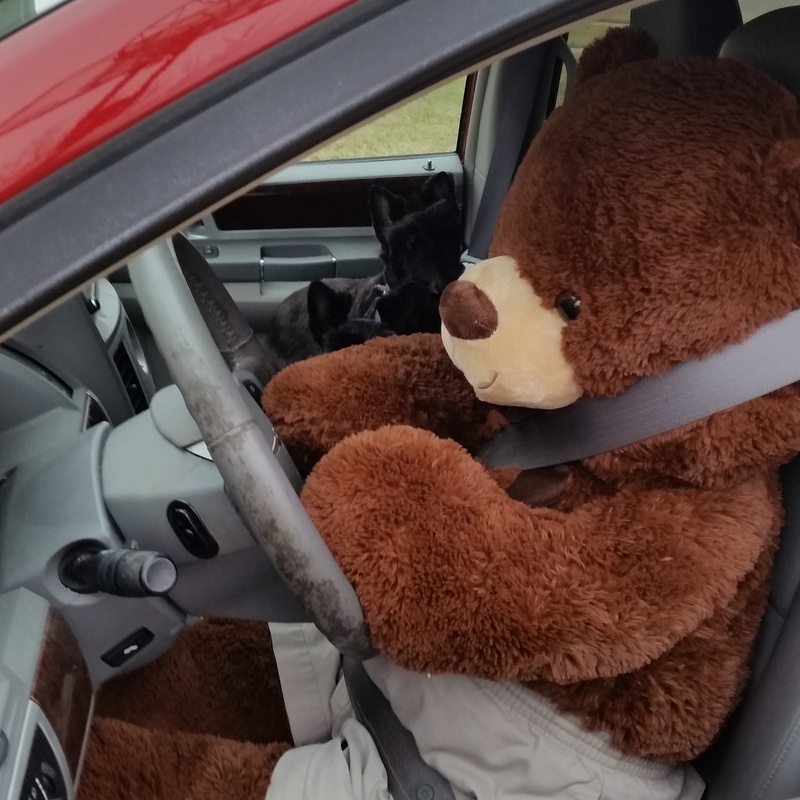 Al Sharpton really missed a great opp…smooth Mr Bear doesn’t need his assistance…drive on! Did you make it to McDonalds for a lovely Sunday brunch? Does Mr. Bear eat much or does a KId’s Meal fill him up?